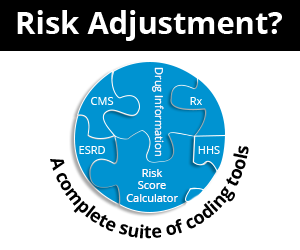 In a 2008 article that retains relevance to coders today, Michael D. Miscoe, CPC, CHCC, noted that thorough documentation has become the de facto requirement to support claims for reimbursement by government and private payors. But an objective investigation into Medicare rules and their supporting statutes won’t support the common belief that “not documented—not done” is a legitimate rule, he argued in the Journal of Medical Practice Management. By a strict interpretation of Medicare rules, lacking documentation does not render a medical service noncompensable. The Social Security Act itself mandates no payment “unless there has been furnished such information as may be necessary in order to determine the amounts due” (42 U.S.C. §139(e). A “clean” claim with the proper ICD-9 and HCPCS codes and appropriate fees fulfills this requirement. Just because a strict interpretation of the law may extract some of the teeth from “not documented—not done,” that doesn’t reduce the need for good, accurate, and thorough documentation. Quality patient care includes maintaining a record that allows anyone with a legitimate reason to pick up the chart to understand the patient’s history of diagnosis and treatment. Average physicians see thousands of patients each year. Regardless of claims to the contrary, a documentation-averse provider seldom possesses memory skills capable of recalling unwritten details years later. Although the OIG’s own audit manual names documentation as only one of four types of “evidence” to determine whether a particular service was performed and properly reimbursed, why put auditors, your practice, and yourself through substantial anguish to prove your case? Doesn’t it make much more sense to document well?